The creation and running of a high quality childcare centre goes far beyond simply filling a building with children (which we’re sure you’re well aware of). It’s a combination of curiosity-igniting indoor and outdoor areas, a team of dedicated educators, endless opportunities for exploration, excellent nutrition, plus many other factors. Arthur Street Early Learning Centre is a child care centre in North Sydney whose highly considered spaces and overall experiences form a daycare centre which fosters children’s learning in a supportive environment. The environments are welcoming, challenging, vibrant and flexible while catering for the different learning capabilities and styles of the children. It’s a rare oasis in the urban jungle that is North Sydney. Educators offer children empowering learning experiences as well as foster their autonomy by encouraging them to set, clear and serve their own food/table. Not only do quality meal time experiences assist to ensure that children’s nutritional needs are being catered for, they also provide many opportunities for children to acquire a broad range of life skills. Children are able to interact with each other and educators in a warm, unhurried and respectful atmosphere. “At Arthur Street Early Learning Centre, we have a fully qualified chef who provides nutritious meals that reflects upon the Australian guide to healthy eating for children. We provide a delicious array of organic, hot, cold and fresh meals to children throughout their day. These meals include, breakfast, morning tea, lunch, afternoon tea and a late snack,” comments Cathy. The design and use of the art studio encourages an endless world of possibilities for children to creatively explore. Every corner of every space has an identity and a purpose, is rich in potential to engage and to communicate, and is valued and cared for by children and adults. There is an underlying order and beauty in the design and organisation of the Art Studio and the equipment and materials within it. Children have the right to use many materials in order to discover and communicate what they know, understand, wonder about, question, feel, and imagine. Educators enter the Art Studio with open minds ready to observe, reflect and respect children exactly where they are and what their objective may be by holistically scaffolding their learning journey. Arthur Street Early Learning Centre’s highly considered environments provide children with a multitude of ways to develop and learn. And with a team of supportive and dedicated educators on board, it’s a wonderful place for children to grow. 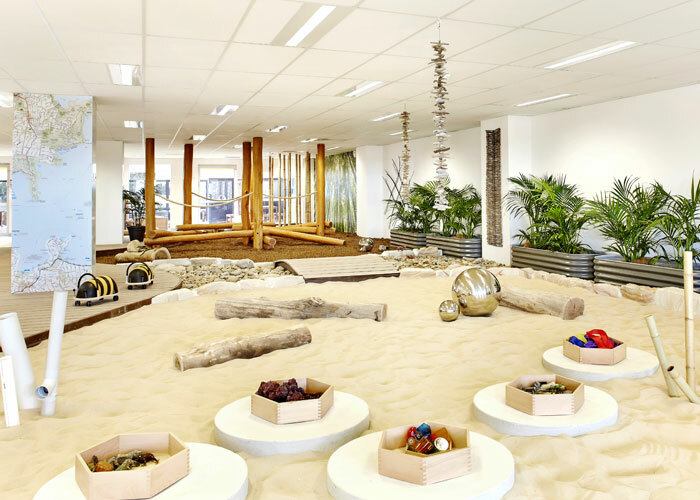 To read more about Arthur Street Early Learning Centre and to book a tour, head here.